We are well aware of the importance of translation of texts from the legal industry. These types of documents can have a big impact on important life decisions, which is why we focus on the factual correctness and on adjusting the context and the use of appropriate legal terminology. For translations in this field we always engage translators with linguistic and legal education. If this is not possible, we try to obtain suggestions and proofreading made by people who have such specialization. We translate contracts, certificates, deeds, judgments, powers of attorney, authorizations and other documents that require a sworn translator to authenticate the document. Do you wonder how much your translation will cost? Send your text to obtain a free quotation with no obligation. Our assets. What distinguishes us? Legal language is the language of legislation. Legal language is the language spoken by lawyers who have to deal with the law. In both cases the translation must accurately communicate all the information contained in the source material leaving no room for ambiguity. It all makes that only professional translators with experience in the legal field should fulfil orders on this subject. We assure the confidentiality of translated documents, personalized service with flexible adjustment to specific requirements, as well as high quality, reliability and affordable prices. If you have any questions or just want to learn about the cost of translation, please contact us by mail, phone or in person at our office. We provide legal translations through the collaboration with highly qualified and experienced translators. We cooperate with professionals from around the world, specializing in translation in a number of language pairs. Our team of translators can provide translations of documents between almost all language pairs, to all customers from all over the world. We offer professional translation services for law firms, lawyers, notaries, solicitors, companies, foundations and associations. We are aware of the confidential nature of legal documents entrusted to us to translate, and therefore they are processed with special emphasis on confidentiality. Our unique procedure of data flow allows us to choose the best translator or the best team of translators for each legal translation project. We translate ordinances, regulations, legislations, laws, resolutions, opinions, decisions, and many others. Legal language is called the language of legal acts and legal texts that are created in a natural language of technology. It has a plurality of expressions, which are not suited to the natural language. Legal language is defined as a very formalized language in which there are phrases that will never occur in natural language. For example, a petition, a plaint, validation or amendment. Each of the above-mentioned words has its own definition, a petition is a lawsuit document in a civil procedure, and a complaint is a demand in a petition and its justification. For the purposes of applying the law, new legal concepts and specialized legal terms are created, which are designed to exclude the possible erroneous understandings of legal provisions. Legal language is defined as a specific jargon that is used by people who deal with the law and interpret the law. In short, it is the language in which lawyers talk about the law. Legal jargon is the language that is used only in legal circles. Among the examples of legal language we can find primarily cases on existing law or glosas to the judgments issued by the Supreme Court. The latter are especially important because the Supreme Court while issuing a judgment justifies it. In the case of a decision relating to a matter of interest, in gloses one can find comments that relate to the decision approvingly or negatively. At the same time, legal language and legal jargon operate on the principle of cooperation by using common terminology. Both languages use the vocabulary interchangeably. What is essential, legal language used by judges, prosecutors, lawyers, solicitors differ from each other. Jurislinguistics, i.e. legal linguistics is a branch of science dealing with the study of a relationship between linguistics methodology and the teachings of law. Trade agreements are an inseparable element of almost every activity of a company. They should be prepared with great solicitude and care of every detail. Realizing how important it is for local and foreign businesses, we offer only professional translations of trade agreements in more than 40 languages. Services related to accounting is one of the most important areas of everyday functioning of most companies. The most important theme of cooperation with entities related to accounting is tax law. Knowing that sometimes it plays a fundamental role in the company, we offer accurate translations in this field, in many language pairs. All kinds of judgments and declarations are an important issue in the settlement of various court cases and cases related with legislation. In preparing the documents of this type, it is not enough to construct them properly only in terms of editing, but they must also substantive. We employ translators skilled in the fields of law, who will take care of creating error-free translations. Lawsuit documents are key documents in civil judicial proceedings. These are mainly claims, as well as replies to claims. The Code of Civil Procedure strictly defined the guidelines that must be met in terms of both form and content, so that they can be admitted by the court. It is therefore important that such documents are drawn up by professionals. 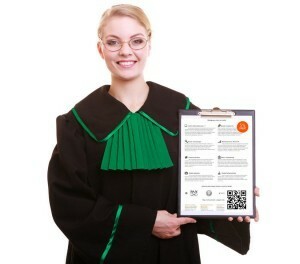 By employing highly qualified translators, who have extensive and current knowledge of legislation, we can offer only correct language translations of all kinds of lawsuit documents. By cooperating with our translation agency, you will get not only high quality translations in various fields, but also a number of additional benefits. Within long-term cooperation we provide to our customers: a system that is specially designed for convenient and fast file transfers for translation; 24-hour hotline; the opportunity to consult with a dedicated assistant and the possibility to use the services performed by a team of translators, as well as discounts on all our services. Have you got any questions? We will answer all your questions by mail or telephone.